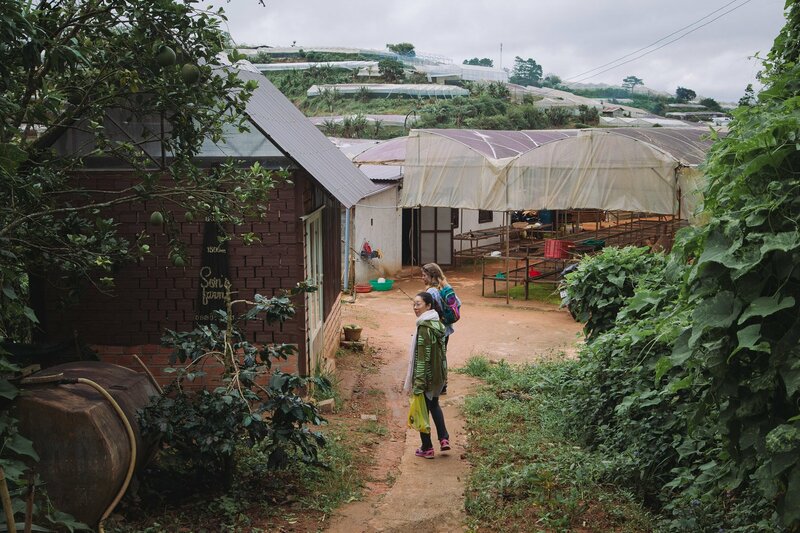 A note from the author: Our trip to Son Pacamara Specialty Coffee farm in Dalat was one of the best experiences we had in our entire six months living in Vietnam. 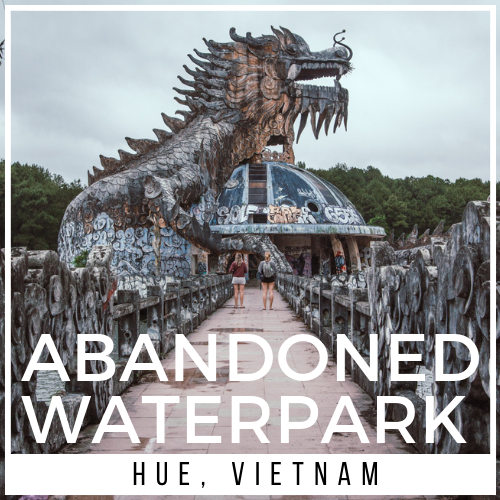 We started the day early with bad attitudes, but by the end of the tour our minds were blown and the way we drink our daily coffee would never be the same again. 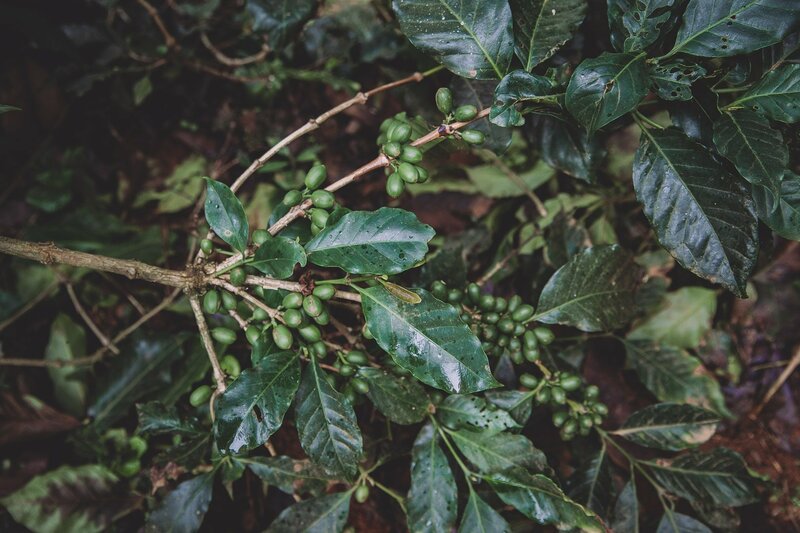 If you've ever wondered, where does coffee come from, this is the tour for you. 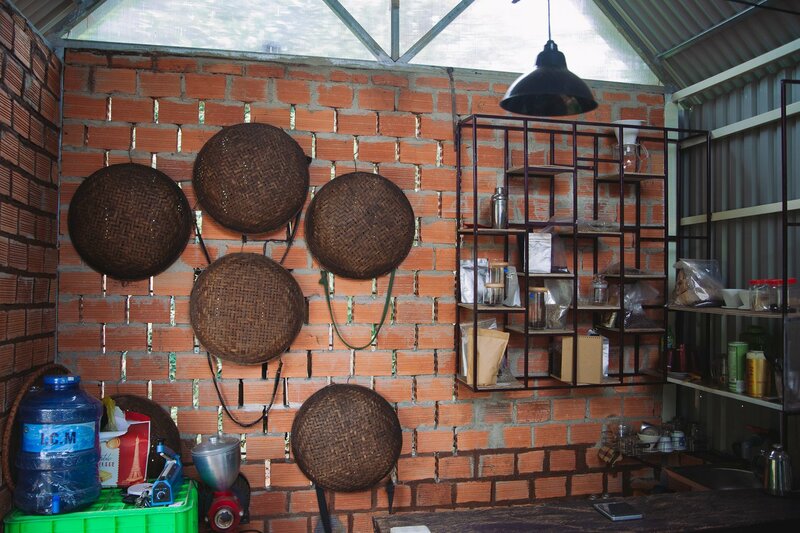 Son Pacamara is not a touristy coffee farm like many of the others in Dalat. 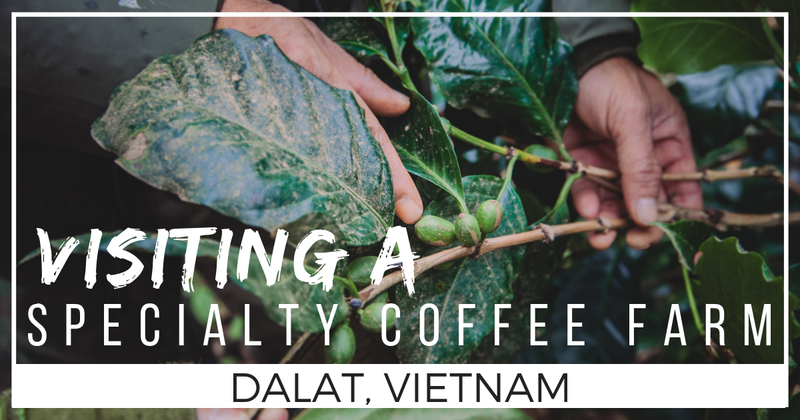 You’re guaranteed to learn a lot about specialty coffee and how it’s different from the other 97% of coffee that’s grown in Vietnam. You can arrange your own private tour with Son by contacting him through his facebook page. 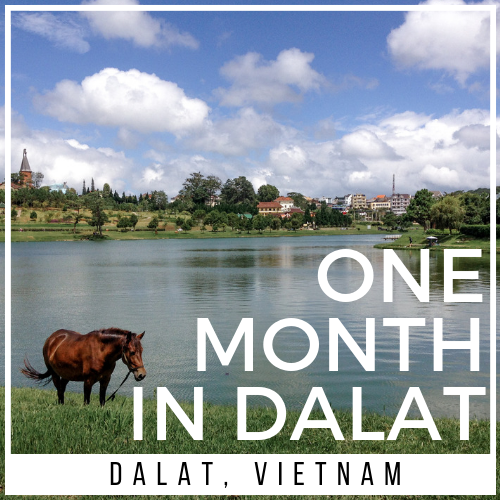 We didn’t make a lot of plans for our one month in Dalat, Vietnam. 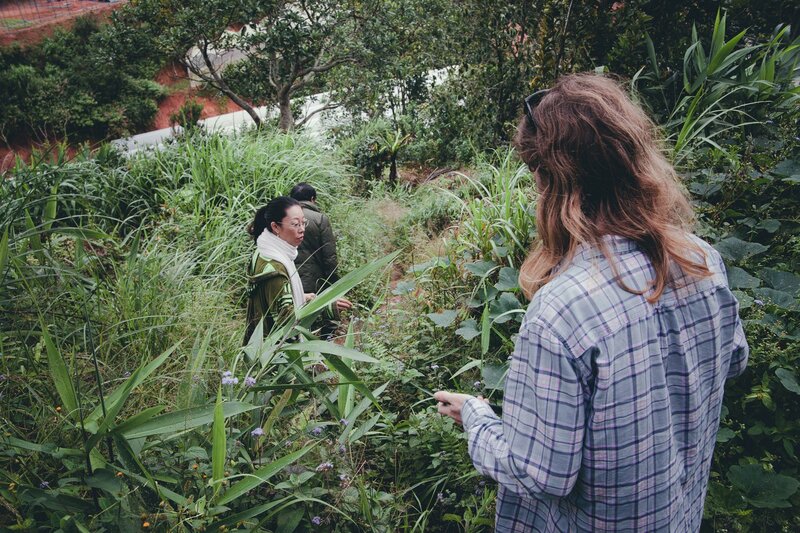 But if there ever was a plan, visiting a coffee farm was certainly a key part of it. Though we really don’t deserve any of the credit for making it happen. ...except walk to the bakery for another pastry. Conveniently, somewhere along the way our landlord mentioned a special coffee farmer friend of hers and insisted we go to his farm. “You have to go to his farm.” She said. And she gave us his number. Perfect. 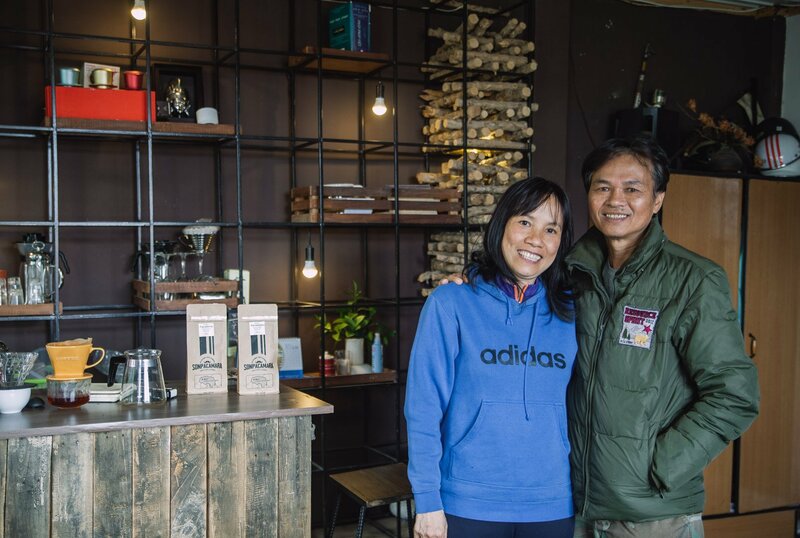 We set up a time, and agreed to meet him at his coffee workshop and tasting room in town before heading over to the farm. Our 8:30am meeting time was a little earlier than I would have preferred, but farmers work on different hours than travel bloggers. The morning of the tour we arrived to the given address by taxi and were dropped off in the rain, unsure of where to go. Up a hill, down a hill, round a bend, dead end, back again. Finally we spotted the sign we were looking for “Mai Son Cafe”, a name crafted from his wife’s name, Mai, and his name, Son. and I’m still damp from the uncomfortable wet walk not so long ago. Also, I’ve now been awake for 2 hours without a cup of coffee. We’re introduced to Son, a smiling man with a lot of energy for a rainy morning. I had a difficult time understanding him at first, but after a few minutes it became easy. He was very warm and welcoming. It doesn’t take long before he starts brewing our first cups of coffee. He’s boiling water, and setting up a Melita pour over filter. 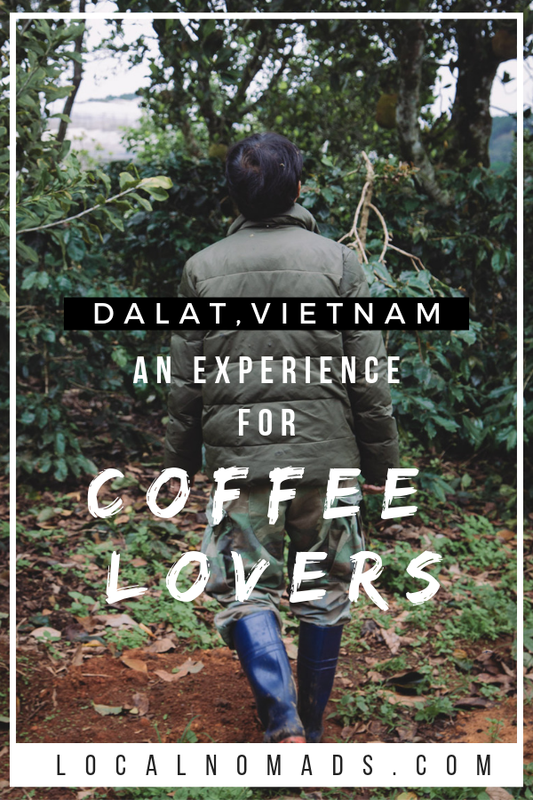 We start to chat about coffee, and we mention that we’ve been traveling with a typical Vietnamese coffee maker called a phin. He starts the grinder, and I can’t help but feel like we’re off to a rocky start. 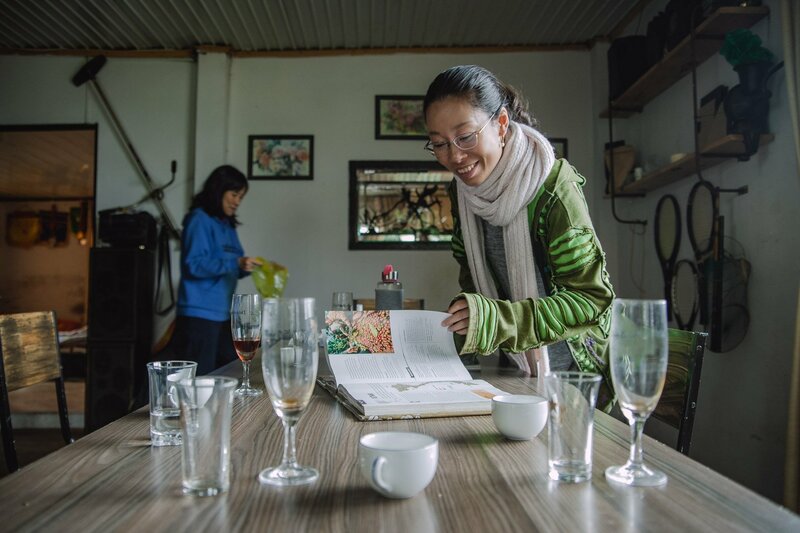 The cafe door opens with a whoosh of cool air and in steps a rather elf-like Vietnamese woman. which makes a lot more sense when she tells us about her Harry Potter obsession. Her energy quickly fills up the room as she makes her animated introduction. This was Linh, the 3rd member of our tour group. 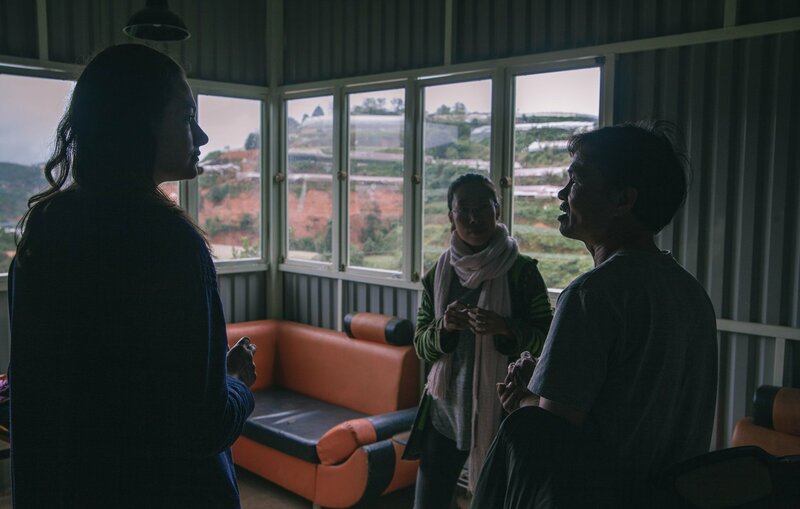 Linh is fluent in both English and Vietnamese and helped with a lot of translations throughout the morning. She was full of excitement and eager to learn about coffee, and it was starting to rub off on us. I felt my bad attitude starting to dissipate. Son starts telling us about the different varietals of coffee that he grows. 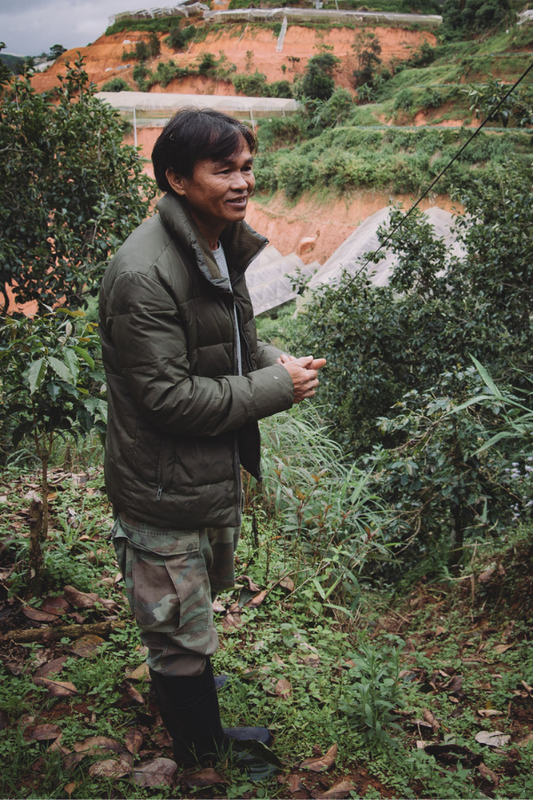 He explains to us that 97% of Vietnam’s coffee production is low quality robusta coffee. Much of which is used for instant coffee and energy drinks. 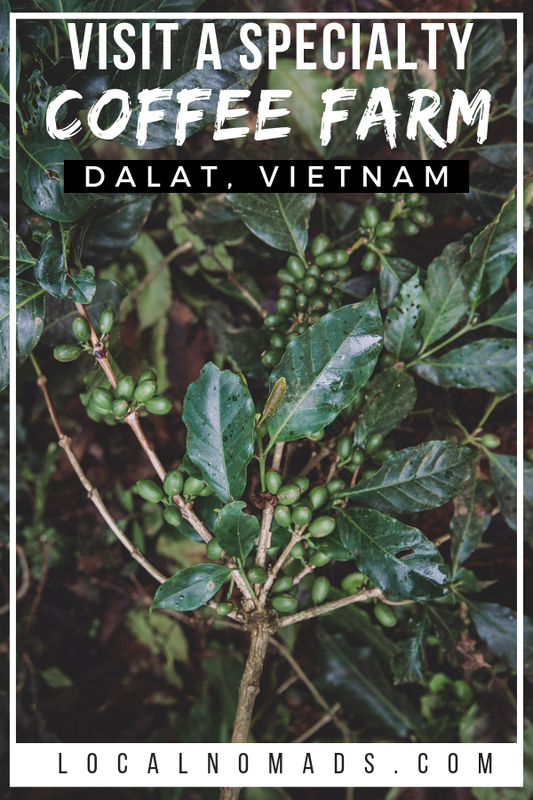 This area of Vietnam, the central highlands, is the only area with the correct altitude and climate to grow arabica beans, the kind we use for espressos, french presses, etc. 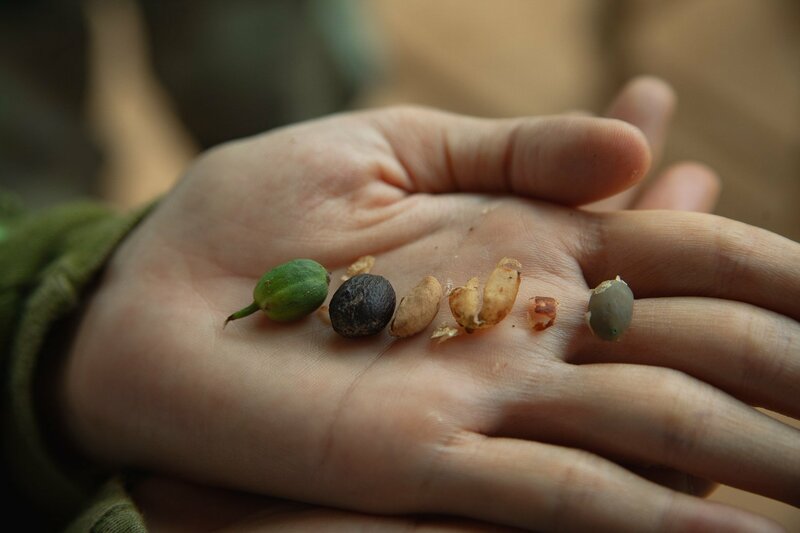 Son grows several different types of arabica beans. Typica, Bourbon, and Pacamara are 3 of the big ones that he grows. He’s hitting us with a lot of information, and honestly i’m a little overwhelmed at this point. I’ve never learned so much about coffee in a single sitting. None of this starts coming together, of course, until we get out to the farm. 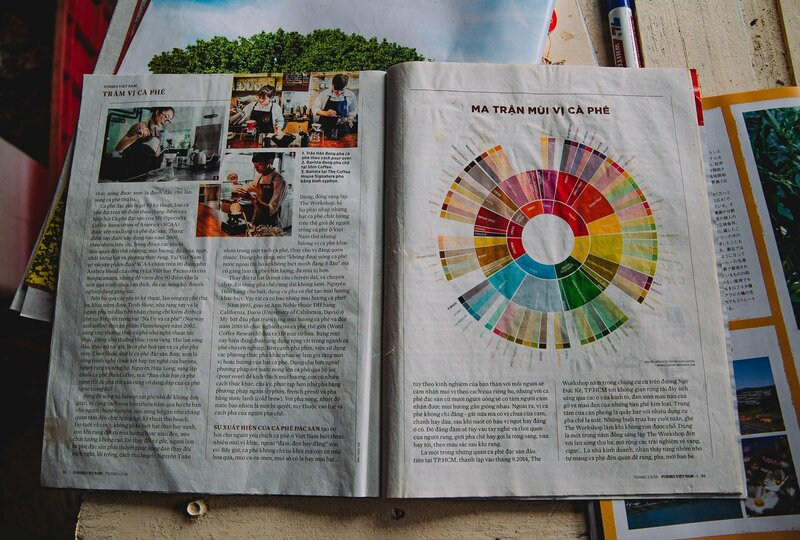 Son tells us about the differences between commercial coffee and specialty coffee. 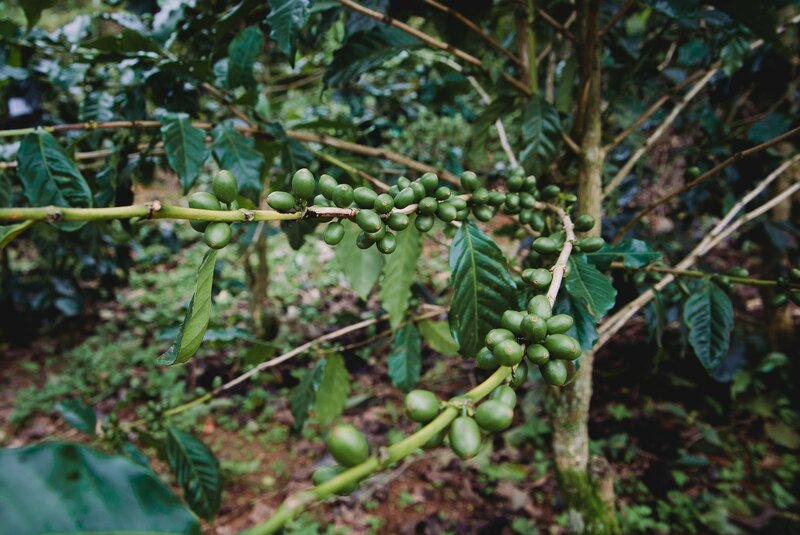 Commercial coffee is harvested all at once when some of the cherries are still unripe. 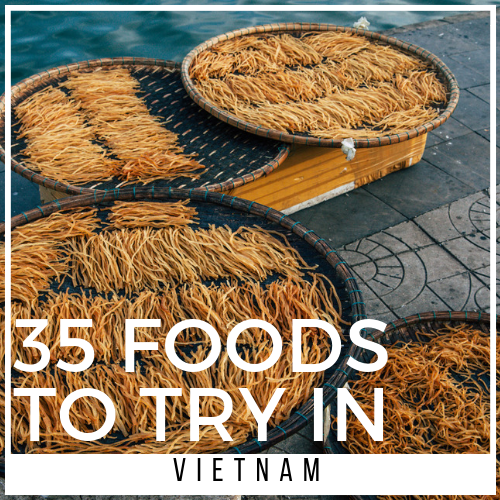 Beans from many different plantations and sometimes many countries are processed, packaged, and ground in mass quantities. This keeps the price low. Specialty coffee treats coffee more like a craft beer or a fine wine. 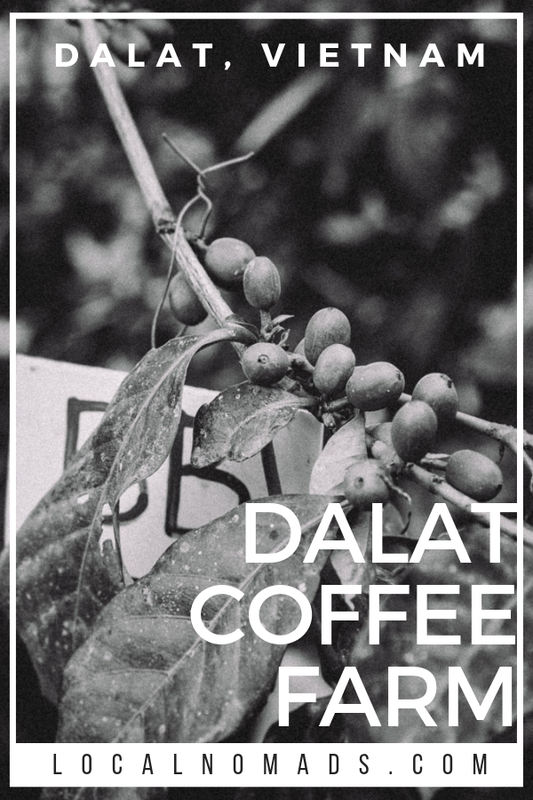 Specialty coffee beans come from a single plantation or highly specified region. 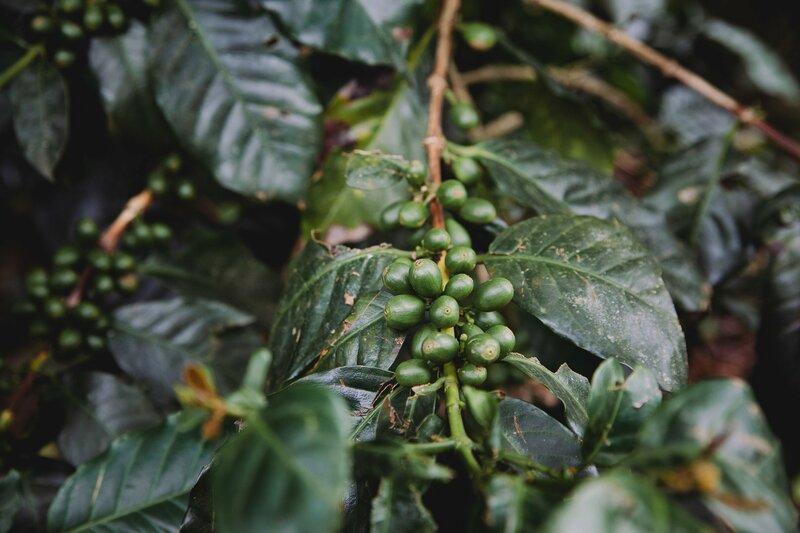 Coffee cherries are hand picked at the peak of ripeness. 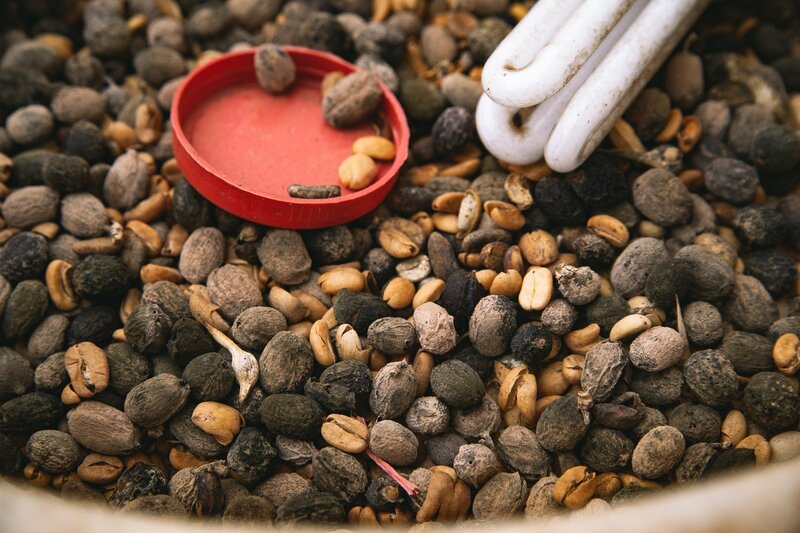 Every bean is hand inspected for defects after each step of the process. Defective beans are culled. This happens 8 times. The process is incredibly labor intensive, and this leads to a much higher price. A higher price is good for the farmer, as long as they’ve got the passion and commitment to do so much more work. 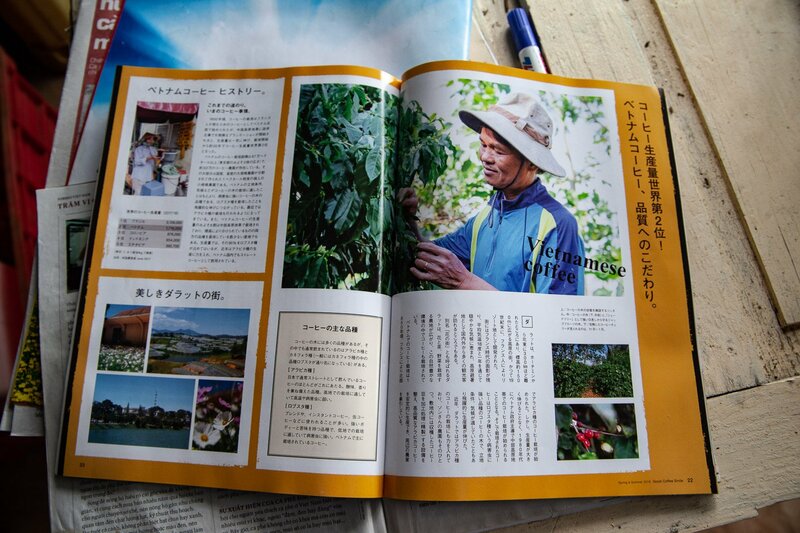 Son has been growing coffee for 14 years now. 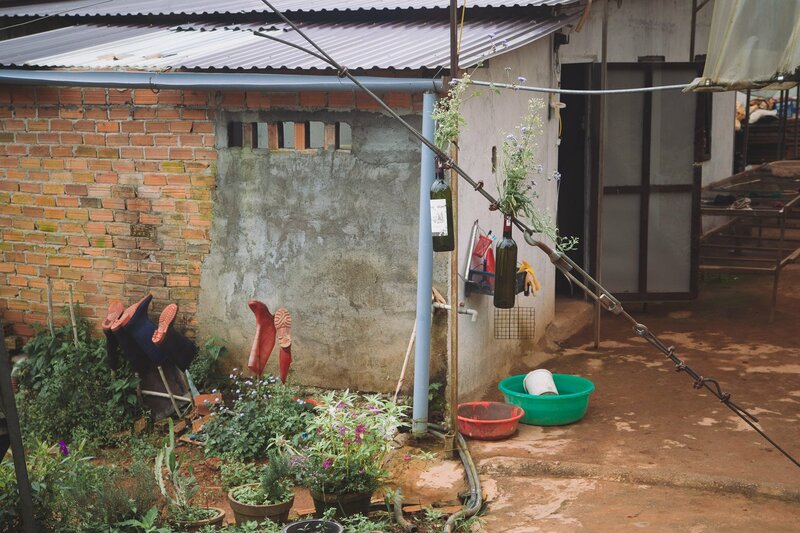 He switched over to growing specialty coffee 7 years ago. 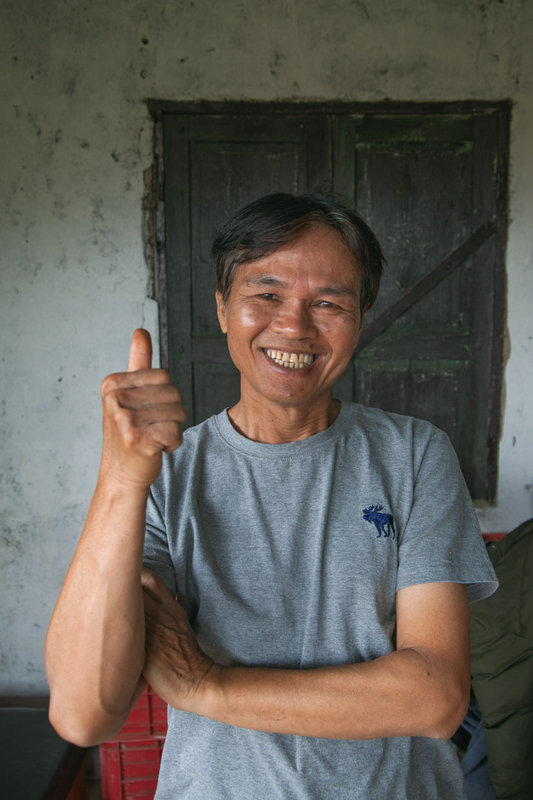 He’s still one of the only specialty coffee growers in the region. Son places a wine glass of light looking coffee in front of each of us. We’re all eager. After all, this is what we came here for. We usually take our coffee with milk, but we didn’t dare to ask at this point. We definitely didn’t want to insult this guy by putting milk in his coffee. The coffee tastes amazing. No milk needed whatsoever. It’s naturally sweet, and fruity. I can taste the acidity without a hint of bitterness. It’s incredible. Gabby is in shock that she is drinking coffee without milk, and Linh is beside herself. I’m just so glad to be getting some coffee into me. I need this so bad right now. The conversation goes on for about 45 minutes while we drink a few more cups of coffee. 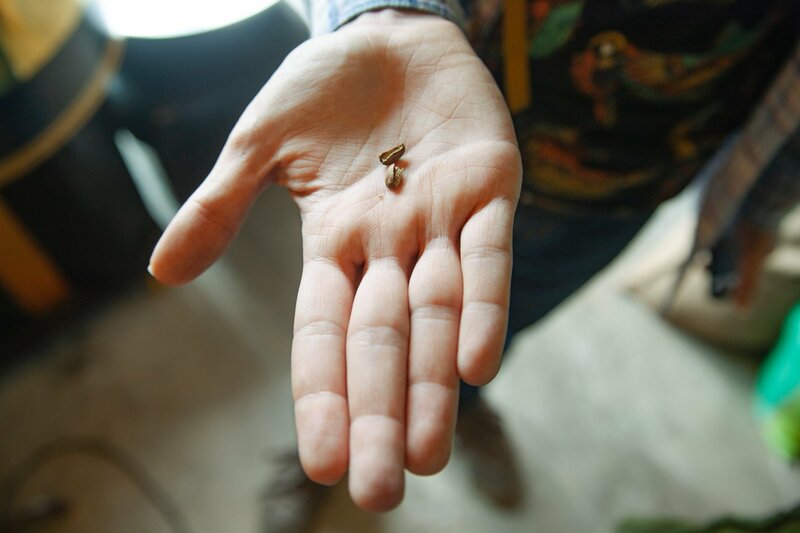 Then Son takes us down to his roasting room and shows us where he roasts his beans in small batches. There are ziplock bags of green coffee everywhere with their names written on them in sharpie. Son shows us what defective beans look like. Some of the defects are barely noticeable to me, but to a coffee buyer they make all the difference. 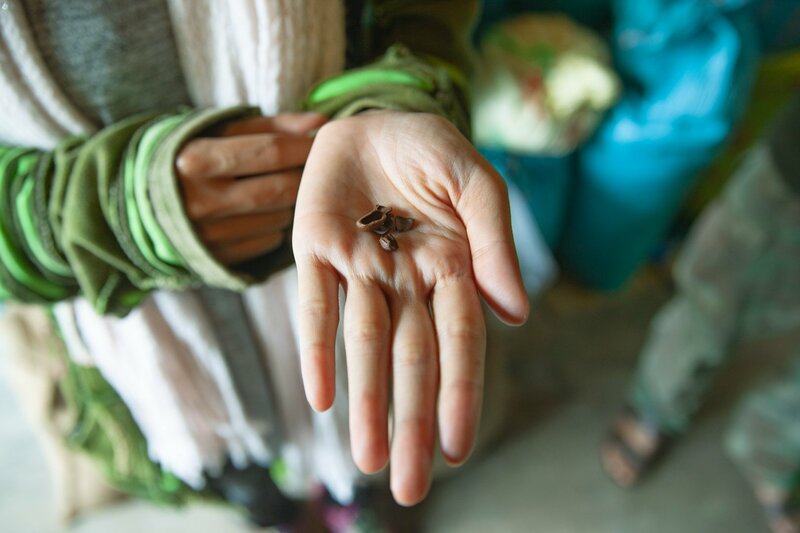 Every defective bean lowers the price that a farmer can earn for their coffee. At some point it was time to head over to the farm. 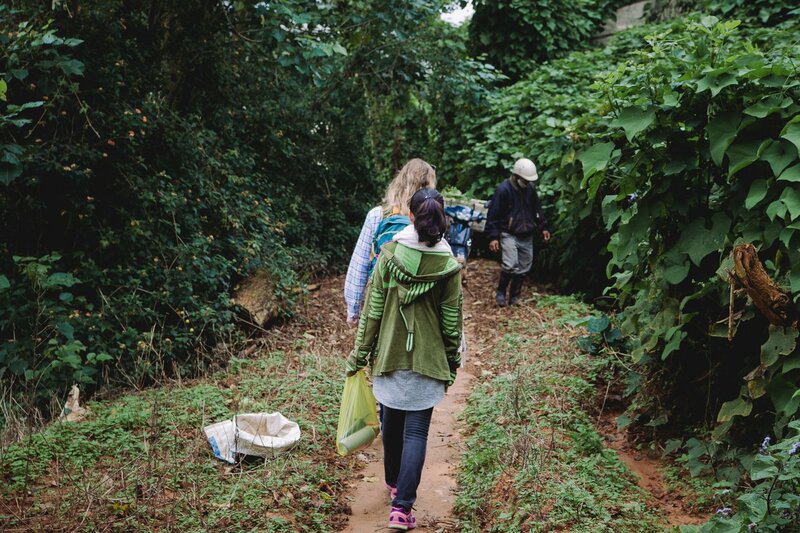 Son called us a taxi, and soon the three of us, Gabby, myself, and Linh, all followed him over to the farm. The ride out of town was very scenic with foggy views of the rolling hills. We passed by some beautiful flower farms on the way too. It was really nice to get a view of the surrounding area. 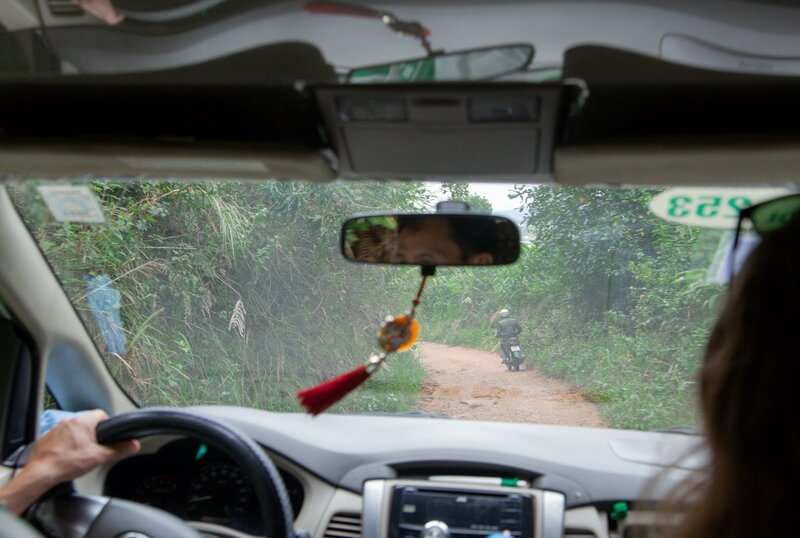 Eventually we took a turn off from the paved road and began a semi treacherous taxi-trek through the muddy forest. I honestly can’t believe the taxi driver hasn’t kicked us out and left us to fend for ourselves at this point. We get dropped off and meet Son at the top of the hill. 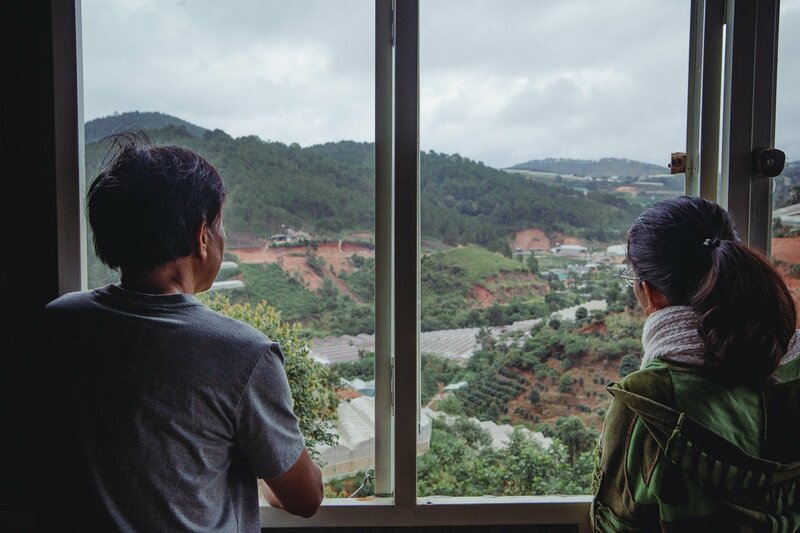 We’re now overlooking a huge valley with lots of covered greenhouses. It’s hard to see the plants from here. 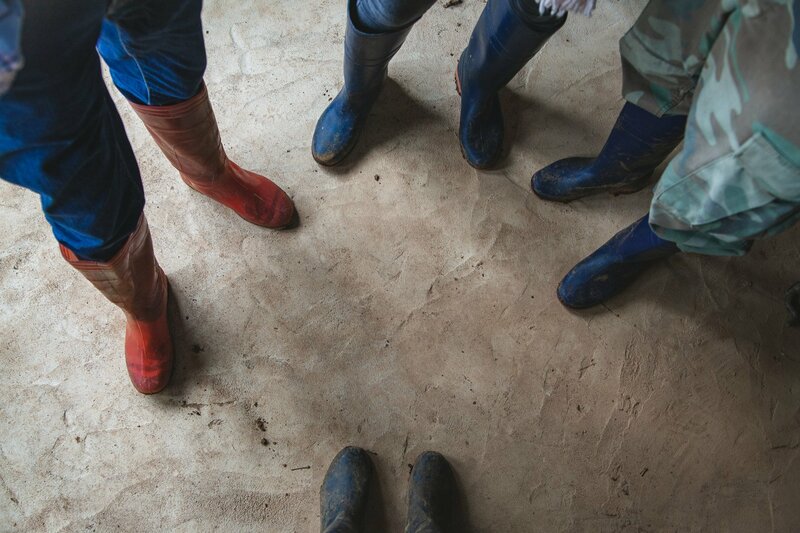 We’re taken into one of the small buildings on the property and suited up with rain boots. Son keeps hitting us with information as were getting our boots on. Things are starting to make more sense. I’m getting more comfortable with the terminology, the different steps of the process, and the different processes he’s referring to. This is still a lot of information to work through, but it’s his passion that comes through the most. You can tell that this man is straight up obsessed with coffee. It’s like his whole purpose in life is to produce the perfect cup of coffee from start to finish. We follow Son out of the house and into the field. We’re walking along in our boots, getting sprinkled on, but not caring a bit at this point. The coffee is flowing through our veins, and we’re on the edge of our seats just trying to soak up as much of this experience as we can. Son bends over and pulls up a plant. He smells the root and passes it over. "The roots smell like spearmint!" 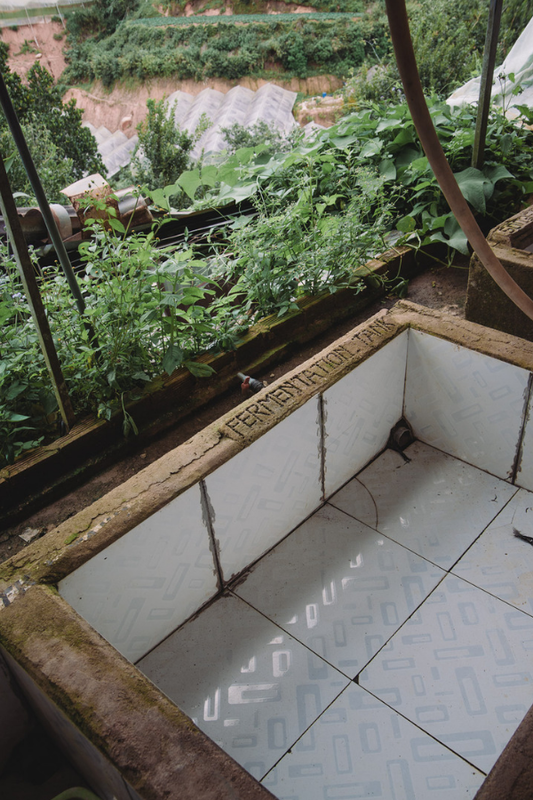 Son tells us that this is called a “companion plant.” This plant attracts insects in the soil away from the coffee. 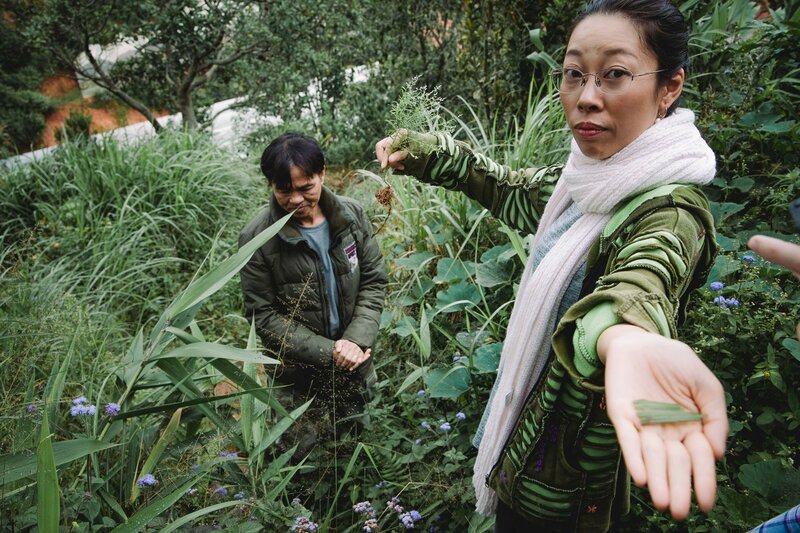 Other fragrant plants around attract the insects from the air. 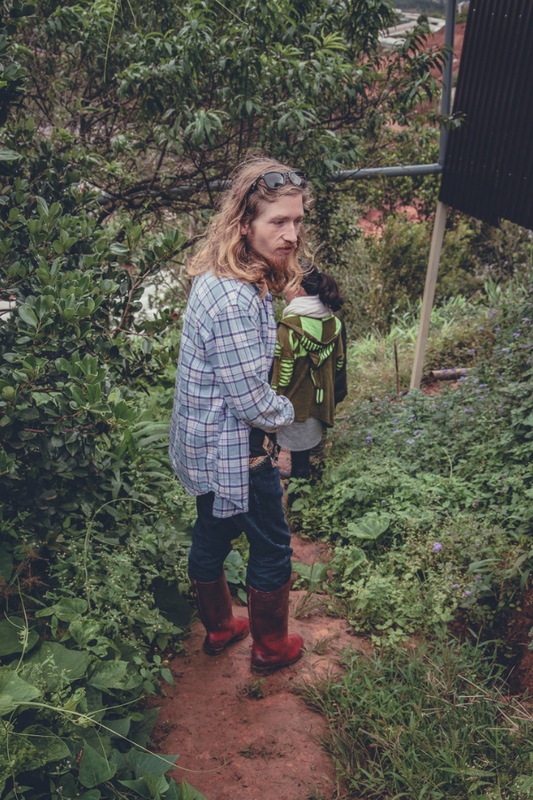 Son’s farm uses no pesticides or chemicals, so he has to find creative natural solutions to keep insects off his coffee plants. He has many different companion plants for different purposes. Some of them add specific nutrients to the soil, others provide shade. 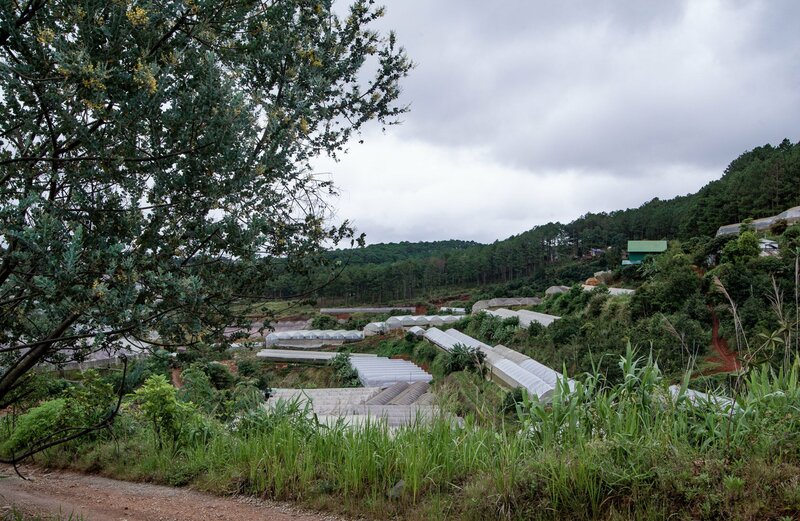 Almost every aspect of growing coffee on Son’s farm is different from the way a commercial coffee farm would do it. 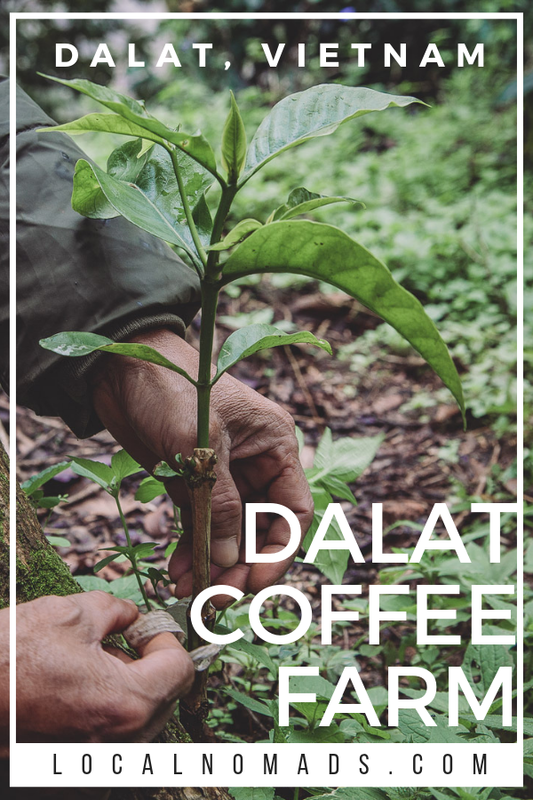 Eventually we’re led to an area where a few different coffee plants of different varietals are growing next to one another. Son shows us each one and points out the differences. One has bigger leaves and grows lower, another has fewer leaves but grows taller and skinnier. 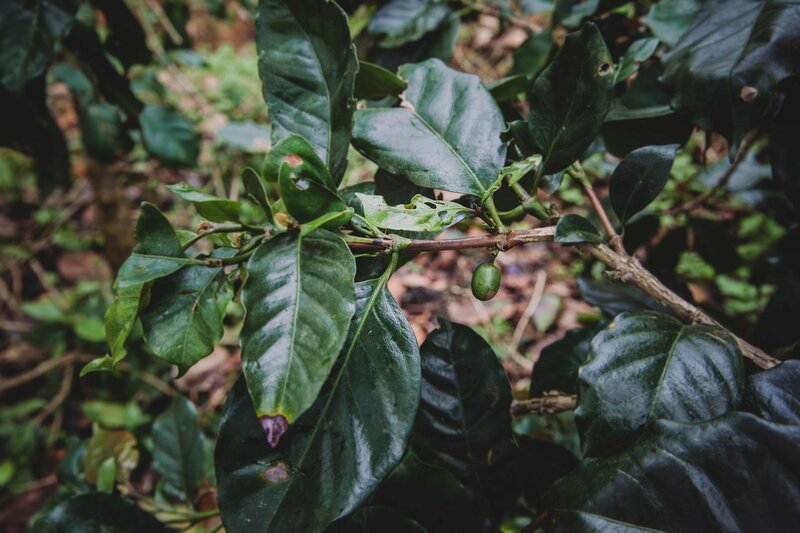 The coffee cherries are green at this point. He tells us that they won’t become red until the harvest season and invites us back to help with harvest in the fall. similar to a feeling I had during my first visit to a weed farm. Maybe I’m just easily impressed by nature. and I’ve rarely stopped to consider the actual human effort that goes into each bean. and learning more about them on a more intimate level. I’m absolutely convinced that Son is a genius at this point. Everything is starting to connect in my brain, and the things that he’s saying are blowing my mind. 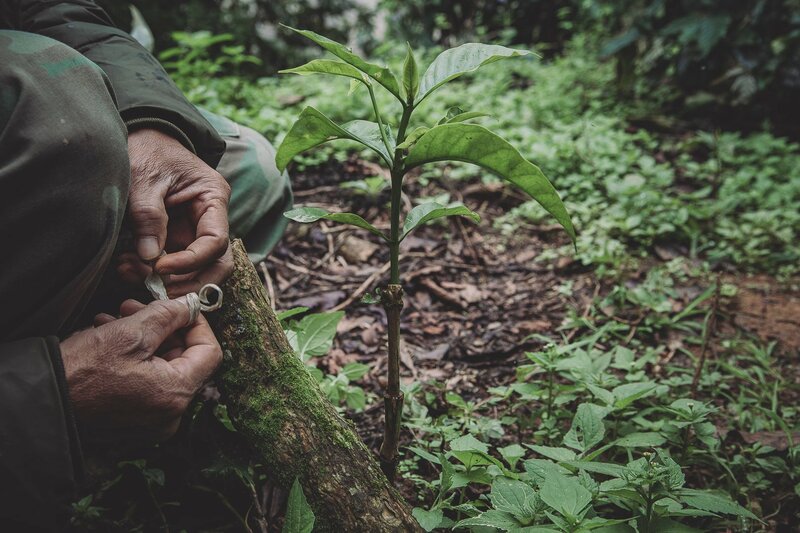 He bends down and shows us a baby coffee plant that he has grafted onto the side of a tree. I’m still not sure why, but damn if it isn’t cool. 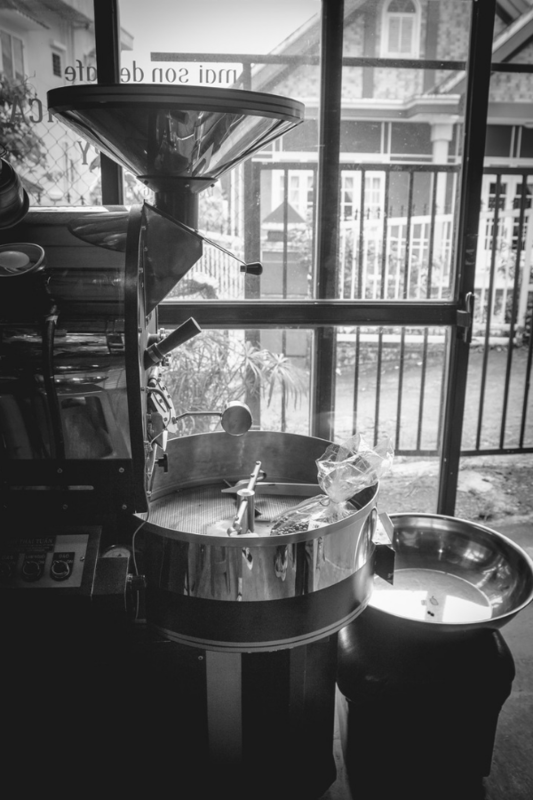 There’s so much more that goes into the process of making coffee than I ever would have imagined. The entire growing process is just the first step. Once the beans are harvested they’ll go through a mill to remove their flesh. Next they’ll go into a fermentation tank until the sticky mucilage layer is removed leaving behind what’s called “parchment skin”. Then they’ll be dried on huge mesh drying racks. Eventually the parchment skin and underlying “silver skin” will be removed exposing the beautiful green coffee bean. After every step, the beans are checked individually for defects. 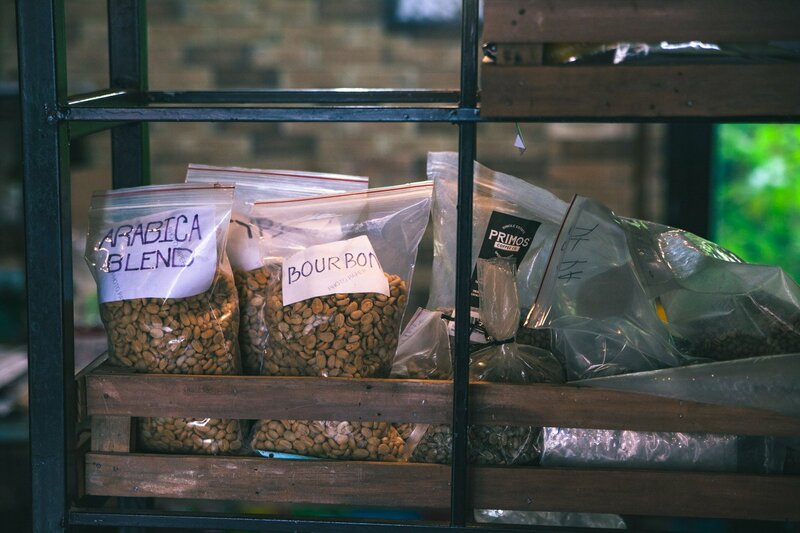 It’s absolutely critical to ensure that no bad beans make it to the final product for sale. By this point all of our minds are significantly blown by the scope of this process. and Son has us repeating every step of the process until it becomes muscle memory. He has become like a wise kung-fu master to us, and we are his students hanging onto every word. The master leads us back to the workroom which overlooks the valley. 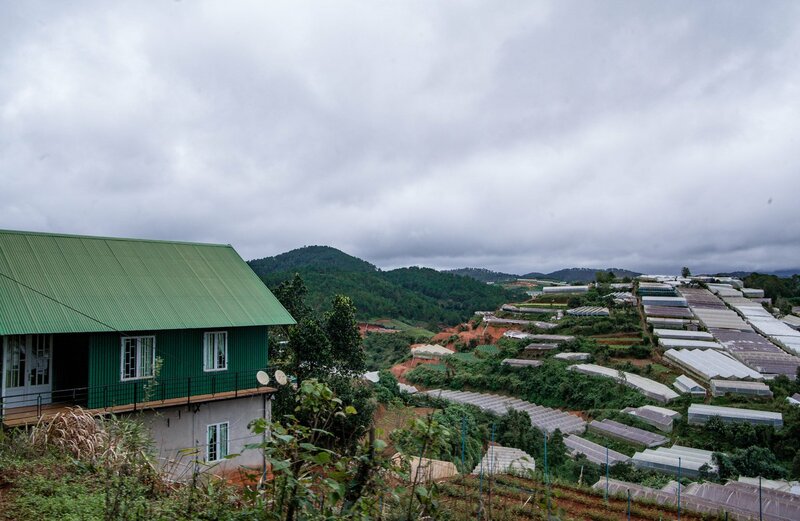 Out the windows we can see the terraced hills and covered greenhouses. Son casually chats with us about the coffee market and how difficult it can be for farmers. Things have been much better for him since he switched over to producing high quality specialty coffee. 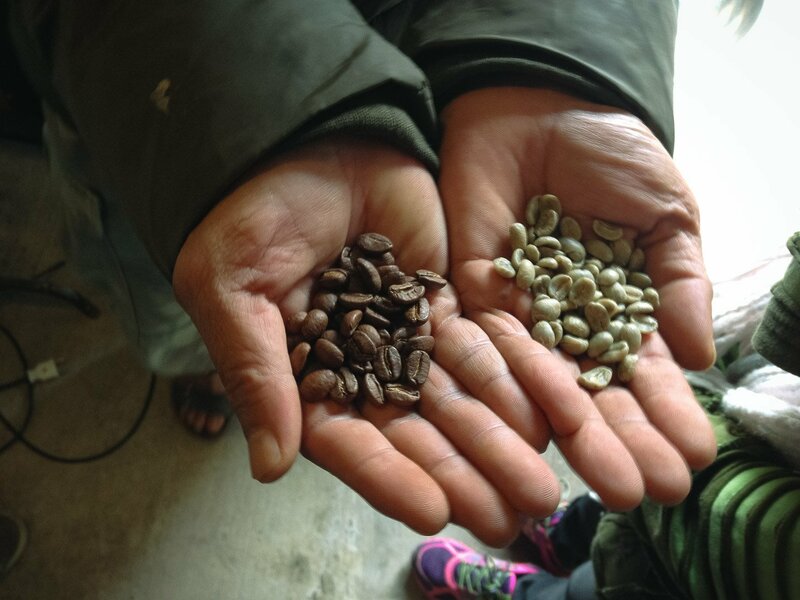 "Commercial coffee farmers can’t get a good price for their beans", he says. "It’s all about producing quantity without any concern for the quality. 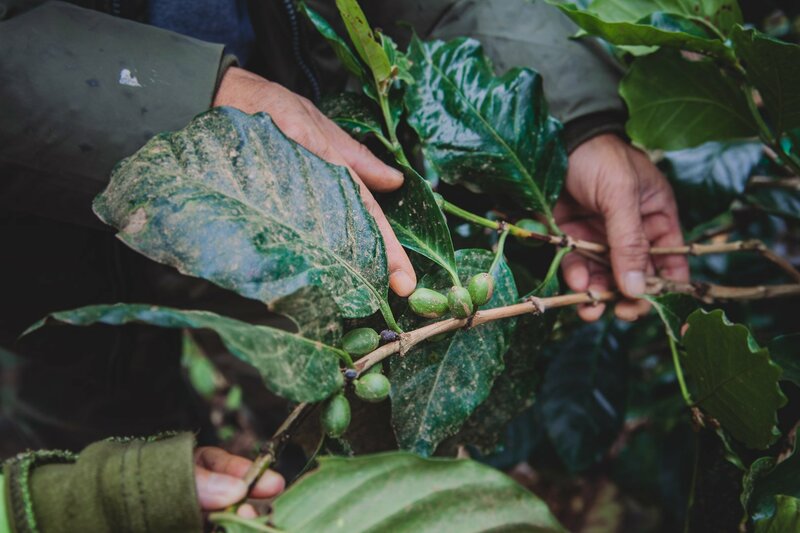 For specialty coffee, the grower can have more control over the price of their product by maximizing the quality." 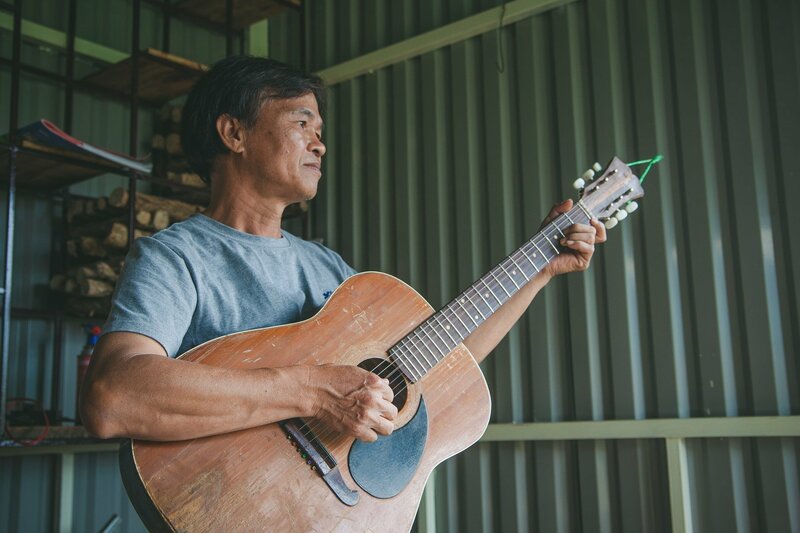 Son picks up a guitar from the corner of the workshop and starts plucking out a few tunes. Linh joins in and the two of them sing a Vietnamese duet. Of course, we couldn’t understand the lyrics, but it was impossible to ignore the connection we all felt in the room that day. After just 4-5 hours we were bonded together by this unique coffee experience. but I do know that neither of us will soon forget the impact of our day there. By the end of the tour our brains were tired from all of the new information we’d received. 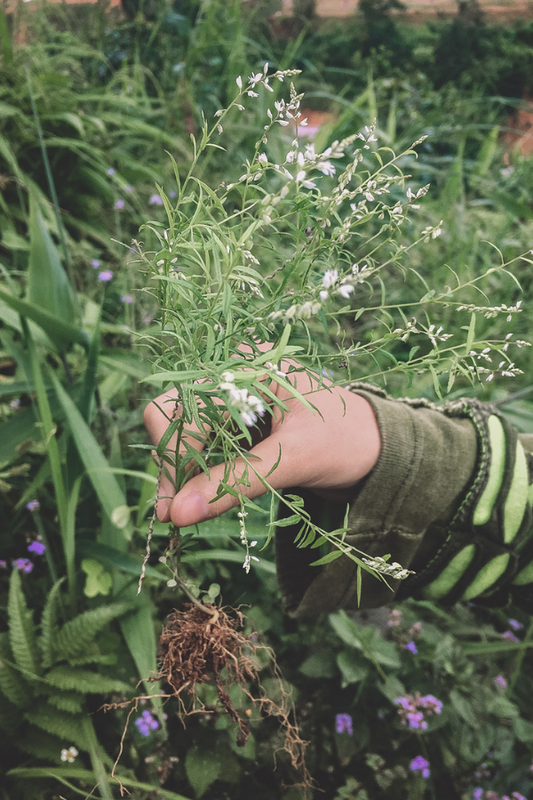 We walked away from the farm with an entirely new appreciation for a plant/beverage that we already considered to be one of our favorites, and with two new friends to boot. I can tell that this is the start of a real deal coffee obsession for Gabby and I. In the future when someone asks me how I got so into coffee, I’ll tell them about this day at Son Pacamara Specialty Coffee Farm.